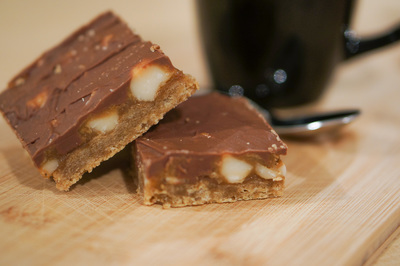 A beautiful interpretation of the traditional caramel slice but without condensed milk and with the addition of macadamia nuts. So easy and delicious! 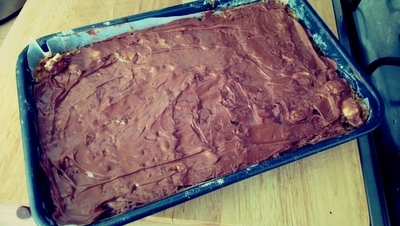 Preheat oven to 180 C. Grease and line a rectangular baking tin around 30cm by 20cm with baking paper. Mine was a little bit smaller and was perfect. 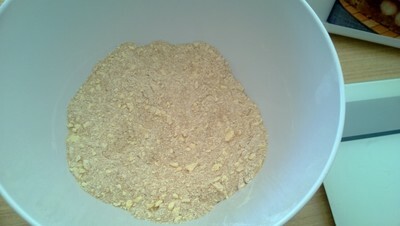 Sift flour in to a bowl and add sugar. 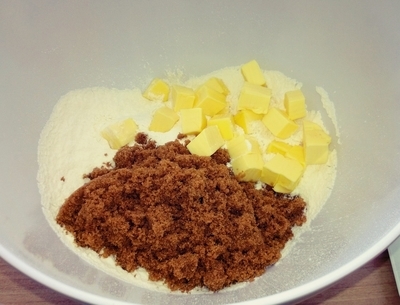 Cube butter and rub into flour mixture with fingertips until it resembles fine breadcrumbs. You can also use a food processor to blitz it if your time is limited like mine is! 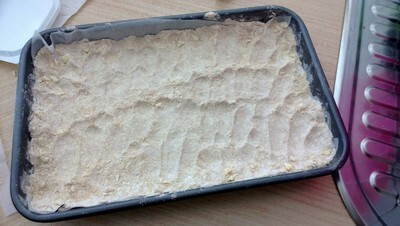 Press the mixture in to the base of the baking tin with your hands. 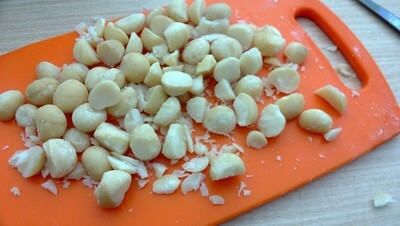 Chop macadamia nuts roughly and sprinkle over base. 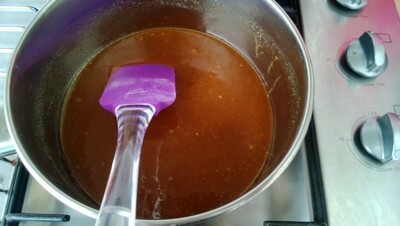 To make the topping, put the butter and sugar in a medium saucepan over low heat. Slowly bring mixture to the boil, stirring constantly. Once boiling, stir constantly for 1minute and remove from heat. 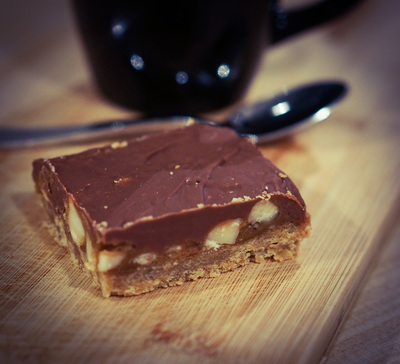 Pour slowly over the macadamia nuts to ensure it is even. 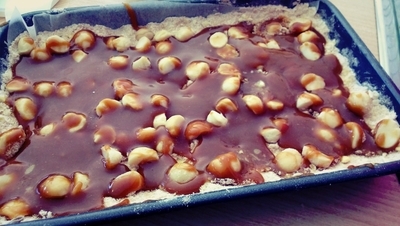 Bake in the preheated oven for 20mins until the caramel topping is bubbling. 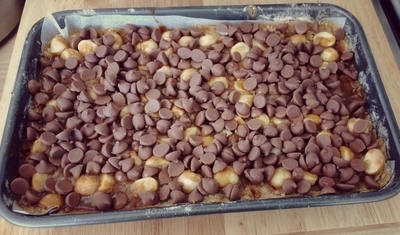 Remove from the oven and sprinkle the chocolate chips evenly on top. Leave for 2-3 minutes until chocolate starts melting then using the blade of a knife, swirl the chocolate over the top until it is covered.